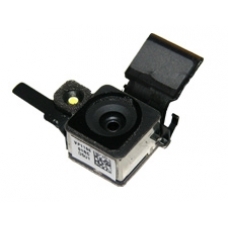 This is the replacement 5 Megapixel rear camera, Video Recording Unit and flash for the Apple iPhone 4. If you find that your iPhone camera is in need of repair, replacing with this part should restore your iPhone camera, video recorder and flash back to full working order. This part requires no soldering to fit, the iPhone camera is connected via a push fit connector. * Includes the Flash Component. * Original Apple 4 iPhone Part.